When is a democratic vote not democratic enough to accept ? - perhaps in the case of the EU Referendum? How dare the British electorate vote the "wrong way" in the face of sound advice from the majority of big business, establishment political parties, cuddly celebrities and most trades unions? The majority of voters clearly must have been mistaken or mislead or too stupid to understand the issue? Of course not, everyone who registers may have a vote but how they cast it is influenced by many things. This is too brief a post to mention everything I learned as a volunteer for Vote Leave but I hope gives some insight into the campaign where I live. BREXIT - A Result Not Expected? The overall UK end result was 52% leave 48% remain with some sharp local and national differences. 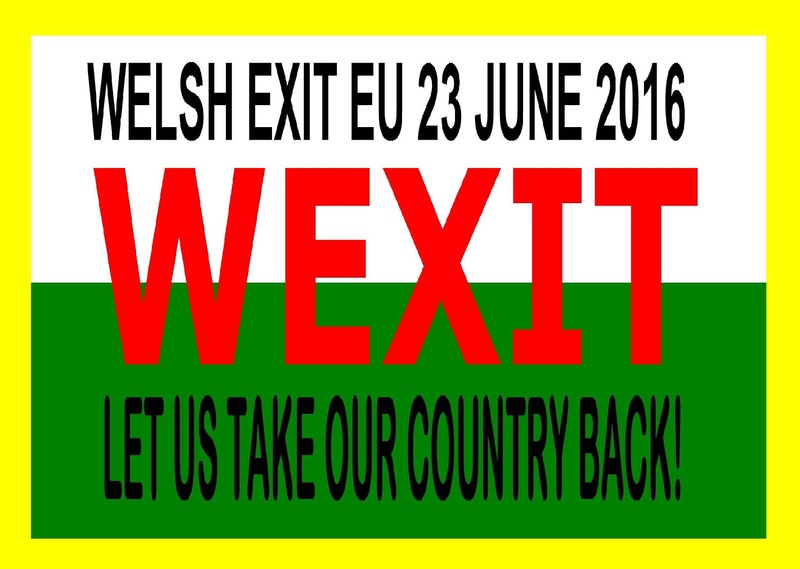 In Wales the overall result was 52.5% leave, 47.5% remain. In defence of not accepting the result, some cite a case that people did not know what they were voting for. I think that probably works both ways. As someone who did quite a lot of canvassing and leafleting I would say that reasons volunteered for the choice of vote were quite varied and on occasion neither logical nor comprehensible on both sides. The campaigns had pretty good UK media coverage, The Remain campaign was better resourced and establishment supported, and had in some areas good political party support.. The Leave campaign was less well resourced , and had far less support from the political establishment, although I was aware of shy leavers, in all the main political party members who didn't wish to speak openly what they thought, but probably voted leave against their own party's policy. UKIP were the only party to wholeheartedly support Brexit and understandably were individually very committed.. It did seem to be a fair contest by UK standards. Usually the best organised, best publicised and biggest spending campaign wins elections. Across the UK in many areas, especially the more remote and rural , the only literature delivered to voters doors was likely the government sponsored pro Remain leaflet.Remain should have won and was expected to do so. These are the reasons I feel are important in what happened from my own experience. 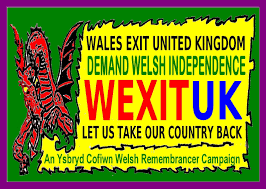 Personally, in my own bubble in Llanelli I was sure the constituency was voting Leave, I was hopeful the county would vote Leave and in the final days was informed by Vote Leave that they felt we could well win Wales. How everyone else was doing in the UK I knew as much as the average TV viewer. My impression was for most, if not all of the campaign, the remain camp were complacently confident and the Leave camp was hopeful but not at all certain of victory. The economic arguments were generally considered and most Leave voters, I believe, were willing to take a risk on possibly precipitating an economic downturn in the hope of a better economy in the long term. They certainly were not swayed enough by "project fear" to change their minds in large numbers, as hoped. 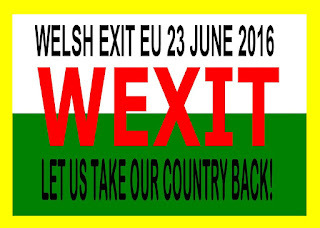 In Wales the Remain campaign was very much on the specific economic grounds, that generous "EU" funding was practically the mainstay of our economy and as a poor area, the nice EU would always be generous to us. Without their good offices, we were told, the begging bowl would remain empty for good. I live in Carmarthenshire. In theory my area "benefits" from EU administered structural funds. money which the UK government would not apparently otherwise give to the needy poor regions. There is lots of agriculture so the Common Agricultural policy should be seen as a generous contribution to our well being. Several local "EU "funded projects are much appreciated. Some tourism also benefits from EU administered funds. However, much is perceived to be spent without much benefit to ordinary people and the local economy has by no means been significantly improved. As this had hardly been "game changing" to the local economy, which continued to be poor and based on low wages, it did not influence many. Some, especially middle class pubic sector workers did tend to be worried by the prospect of losing EU grant money. .There was a single embarrassing display of unity where clearly uncomfortable prominent members of the 2 parties, Labour and Plaid, posed for a photo in Llanelli town to support the Remain cause. No further co-operation was noted. The Leave campaign can also be criticised for not initially clearly showing where these gifts of grants and subsidies came from. It took the much criticised "Red Bus" to actually drive a narrative on how much UK money did not come back from the E.U. and that "EU funding" did not mean free money from the philanthropists of Europe, but UK money administered in the name of the EU.. In Llanelli this was not a big specific issue on the doorstep although a few did express hostility to the idea of Eastern European immigration and believed that some people did come here just for the benefits and get council houses ahead of locals. The number of EU migrants is small. No one volunteered much negative personal experience to me other than one family complaining that some Eastern European gentlemen neighbours regularly got drunk in the alley behind their home and sometimes messed up their bin bags on collection days. The issue was more that of border and immigration control and the fear that free movement of people would, at some future time, allow mass migration from the EU into the area. In a poor area where local people can have difficulty getting even reasonable minimum wage jobs, I suspect no community where jobs are lacking wants a threat of competition for jobs from outsiders. The "Take back Control" narrative was very popular and frequently echoed. Activists, while canvassing you don't take much time to interrogate people's interpretation of the slogans. One tends to thank them for their support and move on, rather than ask them why they are supporting you? Even those who are not Conservative supporters were shocked when David Cameron , our then Prime Minister, was offered little by the EU to help quell dissent on the European Project. For those of you who wish to be reminded of the sad "thin gruel" David Cameron returned with from Brussels the BBC website has an excellent list of what he wanted and what little he got. It still makes chilling reading as one realises that it is not only a record of major political failure but also the contempt in which the UK was apparently held by the other EU members. While marching on to the goal of a united states of Europe they were quite aware of British reluctance. Euro-scepticism has always been fuelled, on the right of the political spectrum, by the prospect of loss of British Sovereignty. This was seen as a huge "own goal" and gave the opportunity for Brexit. I have talked to a few European politicians since the referendum and they concede that Cameron's brush off treatment was a gamble, but they had no expectation of anything other than a grudging acceptance of the generally unhelpful fudge . They realised that ever closer union will not, in time, have included all the current EU states but had been hopeful that the wealthy UK would have stayed and funded them for longer than it looks like now. When the UK leaves, the Common Agricultural Policy will likely suffer in that many of the members, especially the newer, smaller accession countries rely on our donations to fund their CAP. I found many Conservative supporters angry with both the EU for treating us with contempt and with David Cameron for being so weak. The most common question asked from this source was "If Leave wins, will David Cameron Resign". I thought he would, and he did. That issue alone I think was adequate motivation to vote to leave the EU for them. Plaid Cymru have always had a weird love affair with the EU, seeing it as a structure to help promote the small regions and nations and their cultures. It is true that the EU do formally list the European minority languages and nationalities and encourage representation, at an advisory level, for these groups. In theory they campaigned hard for Remain, in practice locally here they didn't, but I believe many of their voters did follow the party line. Personally, I am not convinced that this "generous" EU policy is anything other than placating these groups. I have witnessed, over the years, quite firm EU action to prevent unwanted regional autonomy and national secession, including an effective campaign against the Yes vote in the Scottish Referendum. The Scots were told that if they voted for independence they would be expelled from the EU and if they wished to rejoin they had to reapply, accept the Euro and it would take at least a decade. In the meantime they would have a hard land border with the EU in the form of England, their economy would collapse and readmission would take over a decade. No seamless passage of goods for them! Since the subsequent problems with Catalonia, Plaid Cymru has had quite a shock as the friendly, cuddly EU image they had imagined has been severely challenged by events. I was surprised that they did not have much of a campaign for Remain here.. In fact, when leafleting for Leave the only other similar activity. for almost all of the campaign, I noticed was promoting local fast food outlets. No canvassing by them noted, One Remain poster and some welsh language car stickers on a single car was all I saw travelling around Llanelli. Some Plaid members have told me that in 2016 they already had some ambivalence to the issue and after the assembly election in May 2016 they were tired of campaigning and not convinced that there was a chance of a Leave vote anyway. Considering events, I believe the EU has since lost the shine it once had amongst Nationalist here and they may change their votes if there is a second referendum unless the Catalonia issue is resolved positively. Radical Nationalists,in Wales generally took a position like Jim Sillars in Scotland, and were of the "out and out" persuasion. The United States of Europe, the political result of "ever closer union" is obviously a mega-state which would heavily and forcefully resist any separatism. I agree with the logic of this, if you are a small country wanting independence, being part of a rigid European system which is concentrating power somewhere else is of no advantage whatsoever and a Threat to self determination, just as the Catalans have recently discovered. Where were the Labour Party? Plaid, are usually well organised and focused but the lack of a visible Labour Remain campaign on the streets until very late in the campaign was a mystery. A few Labour members were openly supportive of Leave and others, some quite prominent locally, covertly gave support under strict agreement of anonymity- asking for leaflets and posters to be delivered to specific addresses/ streets for instance. Labour, and Plaid,, had apparently not asked the question of whether or not people had come to an opinion on the referendum in May, when they were canvassing the area for the Welsh National Assembly Elections - allegedly to avoid confusion. I had asked the question at this time and noted the answers. 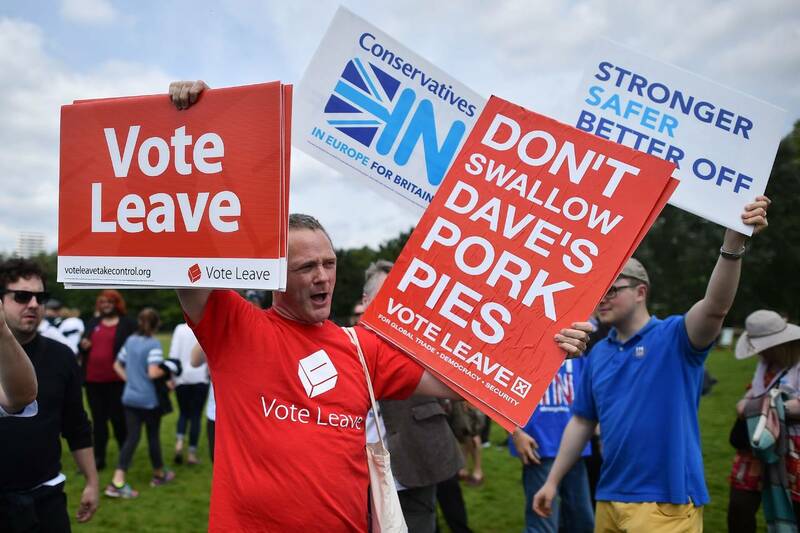 Many people had already firmly decided, before the Brexit campaign had got fully underway. This meant that Labour in Llanelli started real campaigning perhaps only when they realised that there was a danger of the local vote producing a Leave majority, I only saw them working in the last 2 weeks of the campaign.. They were seemingly trying to play catch up while probably running blind. 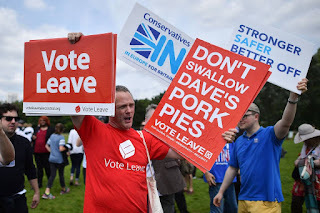 Large numbers of their supporters were already pledged to the Leave side and there was a lot less chance for them to make any difference so late in the day. The local left wing radical socialists were generally saying they were supporting Leave , citing the "Capitalist Club" reputation of the EU and pointing out that our UK workers rights were actually better than the EU minimum and had been achieved in the UK by unions' political campaigns, not just EU regulation. They saw the Conservative government as a bigger threat to workers rights than leaving the EU. My only previous experience of a major contested referendum was of the 2014 Scottish Referendum. From this I learned that when people have expressed a firm view they probably will keep it, so don't waste much time arguing with people who clearly don't support your view, and target the undecided in the final stages. My impression of Llanelli was there were not many truly undecided people likely to vote. Those who said they were voting for the first time, were not teenagers, but much older, some having registered to vote for the first time just for the referendum and they were generally voting Leave and for the first time in their lives felt their vote mattered. The the last stage is to get out your vote.and not the opposition's. I believe Leave in Llanelli, despite having far from a comprehensive canvass record, had a much better idea of where their vote was than Remain. At the Carmarthenshire Count, the overall result was Leave 53.7% Remain 46.3%. There were no separate figures produced for the 3 parliamentary constituencies involved but the Llanelli polling station boxes did not disappoint and I suspect that "project fear" had some effect. on the final result. but too little to win the day. Interestingly, for election nerds, the postal votes in Carmarthenshire did not reflect the final total vote, as it often does. We scored them as 50/50 with a suspicion that they might actually be just slightly favouring Remain. It was a relief to see the polling station boxes opened! The day before the referendum Nigel Farage made his final speech where he characterised the vote as the People versus the Establishment and said leave voters would crawl over broken glass to vote for Brexit. Hyperbole, but it does capture the mood of the campaign and that Leave voters were probably far better motivated to make their point, and prepared to vote even though many thought they would probably lose, just to register their discontent. As for Remain, it is difficult to make the status quo exciting and the approach of trying to scare people against change can backfire, In 2016 there was a majority of UK voters yearning for change and willing to take the risk of leaving the European Union. The Establishment thought they would win and didn't. Democracy delivered, and many MPs and AMs and even the 1997 referendum on the Welsh Assembly have been won and lost by much smaller proportional margins without requiring a re-run. Many of the losers accept the Brexit result but others are still very bitter and don't. I suspect this isn't just a loss of a vote but for them, but a challenge to their whole political outlook. I still meet people who assume that a nice middle aged, middle class , nationalist lady like myself must have supported Remain and who seem a bit shocked when I confess I didn't. After this experience I doubt any UK government will risk another referendum on anything, anytime soon! That's a really interesting insight, thanks for being brave enough to put it in writing.